1. 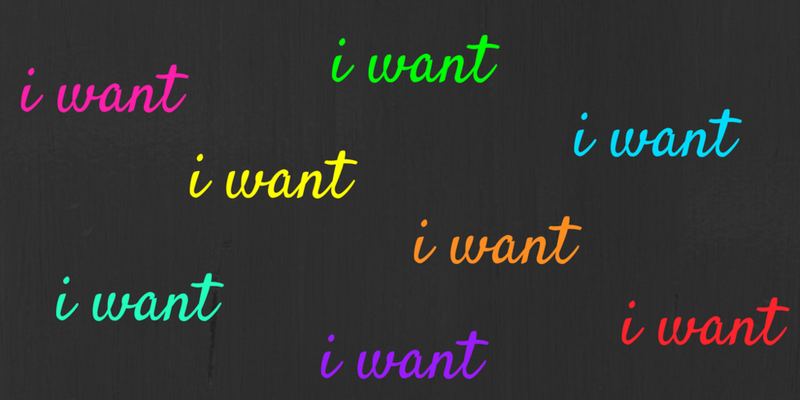 Your protagonist should want something badly. This ties in with the idea of stakes—why does this matter, what happens if your main character (MC) doesn’t achieve their goal? But thinking about it in terms of characterization, the focus of your story should be on something that’s of the utmost importance to your protagonist. If they just want it a little, or if someone else in the story wants something more, then it lowers the reader’s investment. The more your MC cares, the more the reader will care. 2. This desire should be apparent on the page. 3. They have to take steps toward their goal. Your protagonist needs to take action to try to get what they want. Too often, writers create stories where a lot of things happen, but all of those things are happening to the character, instead of being caused by the character. This doesn’t mean you can never have action that isn’t caused by your MC—there might be a natural disaster, or your protagonist could get fired. But then look at what happens after. Is your protagonist just responding, or is that event spurring them on to greater action that moves them closer to their goal? 4. They need to keep wanting something throughout the story. Sometimes I see protagonists who want something at the beginning of the story…then that want is satisfied with the inciting incident. Your MC’s desire needs to propel the story from start to finish. What they want may change or escalate (they might begin by wanting to make it into a competition, and then their goal morphs into wanting to win), but they need to always have a goal. The climax of the story generally concludes the goal in some way; they may achieve their goal—or fail, but accomplish something else through that failure. 5. What they want may depend partially on your genre. The resolution of the story may depend somewhat on genre, as will the goal itself. If you’re writing romance, your MCs will want each other, and they should end up together at the end to achieve your happily ever after (or at least, happy for now). For more commercial books, the goal is usually fairly simple and concrete: winning a competition, getting a job, catching a killer, climbing a mountain. More literary books may have goals that are subtler or more complex: discovering their purpose in life, coping with grief, navigating an existential crisis. Regardless, your protagonist’s desire sparks the story and heightens reader investment, and their progress towards the goal keeps the pages turning. To receive related tips this month on escalating your MC’s goals, subscribe to our newsletter. And if you aren’t sure whether you’re effectively communicating your protagonist’s goals, check out our editorial services. HYPHEN recently started offering a reader report service—a more budget-friendly alternative to an editorial letter that often has a quicker turnaround as well.